Karen Marais, assistant professor of aeronautics and astronautics, sees the big picture. Hired into the College of Engineering’s System of Systems signature area in 2009, Marais earned a Faculty Early Career Development (CAREER) program grant from the National Science Foundation in 2013. 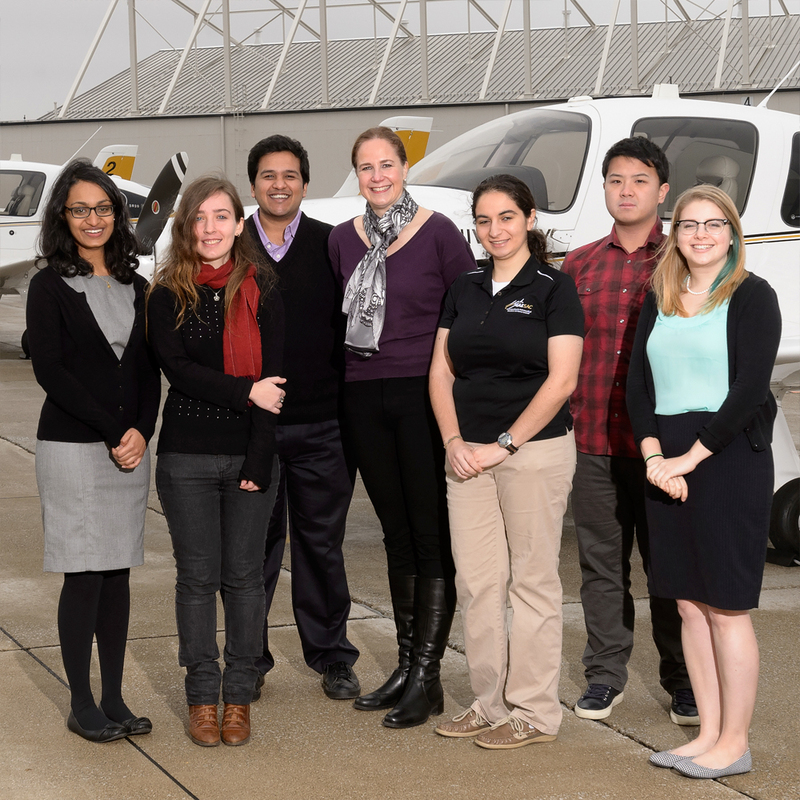 Karen Marais, assistant professor of aeronautics and astronautics, sees the big picture. Hired into the College of Engineering’s System of Systems signature area in 2009, Marais earned a Faculty Early Career Development (CAREER) program grant from the National Science Foundation in 2013. The project, “Accidental Knowledge: Using Accidents and other Systems Engineering Failures to Inform Research and Education in Systems Engineering,” seeks to improve large-scale engineering projects in ways that could have applications throughout the aviation, space and other industries. Marais and her teams learn from engineering failures. Through what she describes as a three-step process, the researchers explore the causes of systems engineering failures in large projects by (1) providing a detailed analysis of past large-scale system failures to identify missteps in processes; (2) investigating practices throughout government and industry to help determine best practices; and (3) translating those findings to improve both engineering systems and how they are taught. 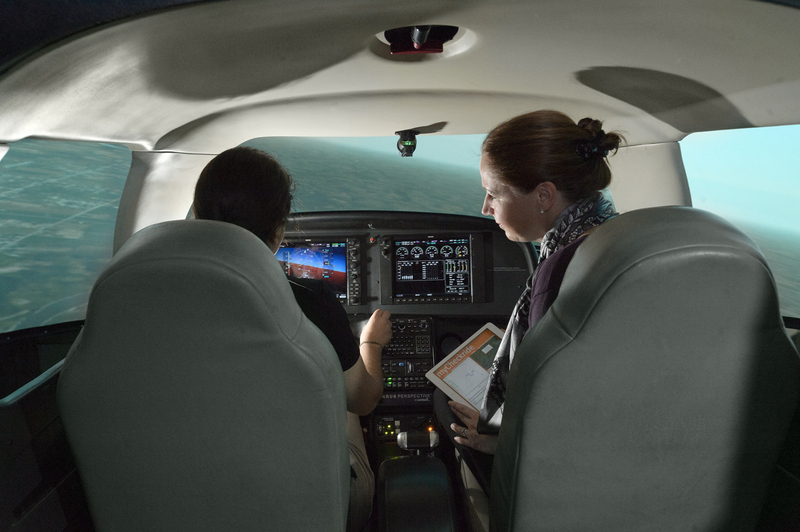 In another area of her research, Marais is investigating civil aviation policies. Because of the complex interdependencies of the industry, there is not usually a single “cause and effect” problem. Marais points to a call for quieter airplane engines, which could reduce noise pollution. However, quieter engines may need to be heavier, requiring more fuel. It’s the “value-centric” costs and benefits from an all-inclusive perspective that will allow Marais and her teams to better inform policymakers. The CAREER grant provides Marais with five years of funding to explore complex issues more deeply. She says one of the most exciting components to the award is its focus on teaching. Her undergraduate and graduate classes primarily focus on systems engineering, so she’s exploring the best ways to teach the challenging material. Some of the next generation of working engineers will be using this knowledge to put planes in the air and shuttles in space. The need to understand those working environments before entering them is critical. 1. Sheng, H., Landry, S., and Marais, K. “Assessment of Stratospheric Fuel Burn by Civil Commercial Aviation”, Transportation Research, Part D, Volume 34, pg. 1-15, January 2015. 2. Saleh, J.H., Marais, K.B., Favaró, F.M., "A Synthesis of System Safety Principles: Multidisciplinary Engineering Perspectives," Journal of Loss Prevention in the Process Industries, April 2014, 29: 283-294. 3. Marais, K.B. “Value maximizing maintenance policies under general repair”, Reliability Engineering & System Safety, Volume 119, November 2013, Pages 76-87. 4. Marais K.B., Reynolds, T.G., Uday, P., Muller, D., Lovegren, J., Dumont, J., and Hansman, R.J. “Evaluation of Potential Near-Term Operational Changes to Mitigate Environmental Impacts of Aviation,” Journal of Aerospace Engineering, 227(8): 1277-1299, August 2013. 5. Marais, K.B. and Robichaud, M., “Analysis of Trends in Aviation Maintenance Risk: An Empirical Approach,” Reliability Engineering and System Safety, 106: 104-118, October 2012.